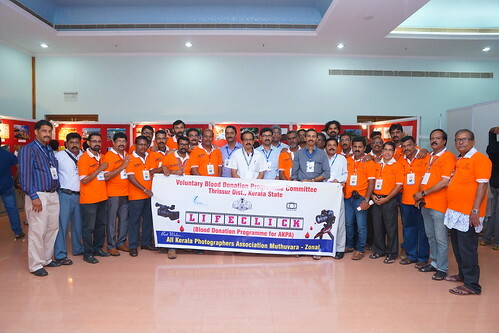 All Kerala Photographers' Association (AKPA) is the flagship platform of the scores of professionals in Kerala, engaged in photography, videography and the allied fields. Currently, there are more than 15,000 active members to its credit. AKPA was initially constituted by veteran photographer Sri. Joseph Cherian, way back in 1984, with a group of photographer friends in Kochi. The primary objective of this initiative was to provide the member professionals with enough stock of photography materials and accessories. Because, it was a time when the market experienced severe scarcity and restricted sales in quality photography materials. A handful of photographers led by Sri. Joseph Cherian moved a representation in 1980 to M/s. Hindustan Photofilms, a Govt. of India enterprise, who were the monopoly suppliers of films and other photography materials, that resulted in a system of controlled supply of materials to the approved studios through an agency in Kerala. Later, this led to a number of anomalies like black-marketing and even the established professionals were not able to procure enough materials. Photographers were on a war path and they moved a mass representation to the Hindustan Photofilms. The authorities made it clear that they would pay attention to the complaints of registered organizations only. This situation turned out to be an impulse to the photography professionals in Kerala to unite and lead a mass movement against the unavailability of materials. And this movement at the able stewardship of the founder president Sri. Joseph Cherian and general secretary Sri. Sarangapani was the foundation stone of AKPA. It was their impeccable leadership that materialized the unification of a number small regional groups of photographers spread across the state, into a single brand identity AKPA. AKPA founder president Sri. Joseph Cheriyan is the son of Chvr. P.J. Cherian, the renowned artist and palace photographer of the Cochin royal family. He was also a film personality, who enacted the lead role in 'Nirmala', the first family entertainer in Malayalam. Interestingly his wife Mrs. Baby Joseph was his female pair. The film was produced by his father Chvr. P.J. Cherian. The founder general secretary Sri. Sarangapany was a teacher by profession and had widely associated with the Teachers' Association activities. He groomed AKPA as a fool proof professional organization by all its present day credentials. AKPA led the protest to revoke service tax in photography sector imposed by the Union Government in 2001. AKPA made all out effort to bring the government of Kerala to terms to introduce a welfare fund for its members, apart from other benefits, . AKPA succeeded in bringing photography under the ambit of the Kerala Lalithakala Akademi’s annual awards and exhibitions. AKPA is a free, democratic and independent professional organization of photographers that functions without any political, religious or cast affiliations aimed at achieving the professional excellence, protecting professional rights and upkeeping the highest ethical benchmarks in the undertakings of the fellow members engaged in photography and videography. The AKPA always upholds its commitment to the society in all its activities. It was a dream come true in 1998 that a state committee office of AKPA started functioning on the National Highway 47 in Chalakkudy. Founder president Sri. Joseph Cherian inaugurated the office during the state convention held there. Unfortunately the office building was later acquired by the NH authorities for road widening. And later in 2008, the election of Sri. Jos Mundackal as the new president paved the way for the organisation to have a prestigious address in the heart of Ernakulam, the commercial capital of Kerala. On 15 March 2009, Joseph Cherian Memorial AKPA Bhavan, the new state office was inaugurated by celebrated film director Sri. Siby Malayil. The office space at Pullepady was purchased at a cost of around Rs. 30 lakhs. Apart from the compensation amount of nearly 5 lakhs obtained from the acquisition of the Chalakkudy office, many well wishers and organisations contributed to raise the required amount. The family of Joseph Cherian Sir and district committees of AKPA, mainly Kasaragod, Alleppey and Ernakulam made substantial contribution towards the venture. A building fund of Rs. 100 was collected from the members in 2009. Phototracks, the mouthpiece of the Association was launched in 1994 as a bi-monthly. In the beginning, it was not published regularly. But now it turns out well. Sri. Sarjulan, Sri.K.Varghese, Sri. Ramachandran, Sri. M.R.N.Panicker, Sri. K.K.Gopalan, Sri. Sunilkumar, Sri. T.J. Varghese, Sri. P.S.Devadas, Sri. Baburaj, were the editors of the magazine during different periods. The efforts of Sri. Ambili Pravada has contributed much to make Phototracks a professional magazine, during his tenure as the art editor of the publication. At present Sri.Vijayan Marancherry is the chief editor and Sri. Baburaj acts as the managing editor. 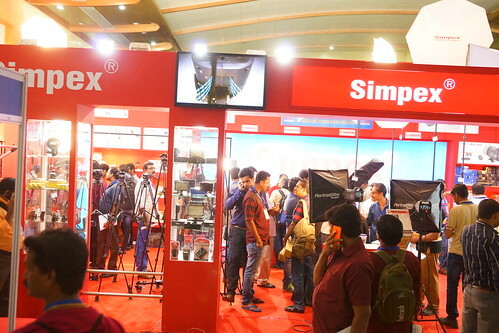 An idea of conducting a national trade fair of photographic materials and accessories in Kerala had been the brain child of Sri. P.K. Gireesh who was the General Secretary of AKPA in 1997-98. The concept was materialised by the Kozhikode district committee in 2001 when they conducted FOTOFEST at Hotel Taj in Kozhikode. The fair was a grand success which was participated by national as well as international players in the field. 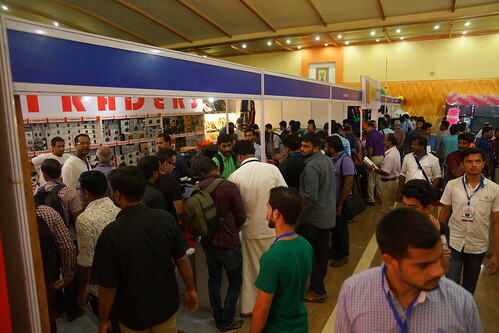 The event was attracted by many a photography lover in Kerala and the neighbouring states, both professional as well as ametuer. Inspired by the success of FOTOFEST, AKPA state committee decided to conduct such fairs annually, with the active cooperation of the district units. The following year in 2002, the state committee under the leadership of Sri. Joseph Sardho held FOTOSHOW 2002 at the town hall in Ernakulam. From 2004 on wards the title of the fair had been made FOTOFEST INDIA. The 2004 trade fair was held at Jawaharlal Nehru International Stadium in Ernakulam. Both 2002 and 2004 trade fairs were conducted with the active cooperation and financial support of the AKPA Ernakulam district committee. Padmasri Mammootty inaugurated the event with great fanfare. The landmark fair of 2004 was effectively materialised under the chairmanship of Sri. P.V. Balan. Sri. P.K. Gireesh was the General Convener and Sri. T.J. Varghese, the Convener. It was a new beginning and thousands of art lovers from all over the state thronged the stalls opened by national and international companies. 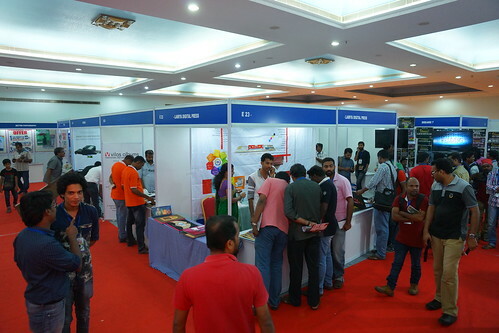 By that time FOTOFEST INDIA turned out to be the biggest brand show of photography accessories in India, introducing novel ideas and products to a large number of art lovers and at the same time providing brisk business to the participating exhibitors. And since then sellers started inquiring after the fair schedule. 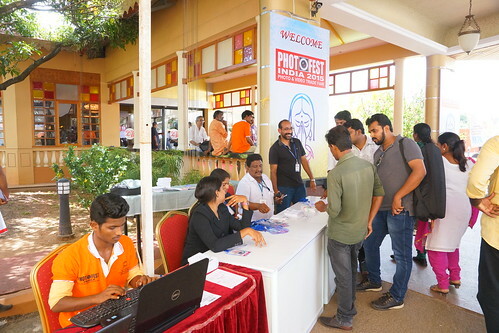 Subsequently, FOTOFEST INDIA had been staged at many prime centres in the state like Sumangali Auditorium, Kozhikode, Lulu International Convention Centre, Thrissur, CIAL International Convention Centre, Nedumbassery, Kochi, Adlux International Convention Centre, Karukuti, Ernakulam, with great audience as well as seller participation. Former state president Sri. Vijayan Marancherry is now the chief coordinator of FOTOFEST INDIA. In 2004 AKPA entered into yet another area. A Photography Club was formed under the State committee during this year exclusively for art and cultural programmes. This was inaugurated by Sri.Therambil Ramakrishnan, the then Hon'ble Speaker of the Kerala Legislative Assembly. The club started functioning under the leadership of Sri. P.V. Balan and Vijayayan Maranchery. Sri. Jose Mundackal and Sri.T. J. Varghese were the first co-ordinators of the club. Later Sri.K.R.Jayachandran Nair, Sri.Jose Mundackal,Sri B.Raveendran became the co-ordinators. The present co-ordinator is Sri. Sajeev Vasadini. AKPA School of Photography was inaugurated in 15 March 2012 by eminent film director Sri. Siddique when Sri. T.J. Varghese was the Association president and Sri. M. G. Raju general secretary. The School offers short term courses and workshops in photography and videography for beginners and professionals. Sri. Jyothish Kumar is the director of the School at present. Sri. Jose Mundackal, Sri. Anil Excel,Sri T.J. Vargheese and Sri. M.M. Vinodkumar had acted as directors in different periods. The state committee is the apex body of the organization. Under the state committee there are 14 district committees. Apart from this, there are around 100 zonal committees and 500 unit committees. The constitution of AKPA is made in the utmost democratic manner. As per the constitution, no office-bearer is allowed to hold the same post consecutively for more than two years. An office-bearer can be elected only for a single post. These changes were made in the constitution in 1993. In 1995 the Association conducted leadership camps, organizational workshops and classes in photography in all the districts. The campaign jathas conducted in 1998, from Kasargode to Thiruvananthapuram under the leadership of Sri.P.V.Balan and Sri. P.K.Gireessh created a general awareness about the Association among the public. A Group Focus event in 2003 and Camera Focus programme in 2014 were conducted at Nishagandhi Auditorium in Trivandrum to uphold professional rights of photographers. With these events the Association gathered much media attention in the national as well as international level. Sri P.V. Balan and Sri. Vijayan Maranchery respectively were the presidents during this period. 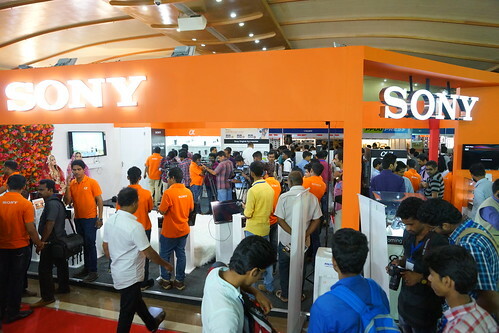 In 2012, a Samara Prakhyapana Convention was staged at Priyadarsini Hall, Trivandrum, protesting against the onslaught of monopolies to the photography industry. Sri. V.S. Achuthanandan, the then Opposition Leader in the Kerala Legislative Assembly inaugurated the event, presided over by Sri T.J. Varghese, the then president of AKPA. AKPA State Committee have an Welfare Scheme for our members. At present Sri. Jose Mundackal as Chairman and Sri Hari Thirumala as the General Convenor. Now AKPA Memmbership Renewal doing online by District committee and at present charge to Sri Girish Pattambi and Sri Sajeer Chegamanad..Website Incharge at Present Sri K.R.Hemendra Nath.